What is the future of Ithaca’s Rescue Mission, the main homeless shelter in the city? The Ithaca Rescue Mission has served Ithaca’s homeless community for years. Many community members are concerned about the future: There has been tension between the Rescue Mission and Tompkins County, the announcement of their possible closure, and a public proposal process to take over the Ithaca homeless shelter. What exactly is going to happen to the Rescue Mission in Ithaca and ultimately, Ithaca’s main homeless shelter? 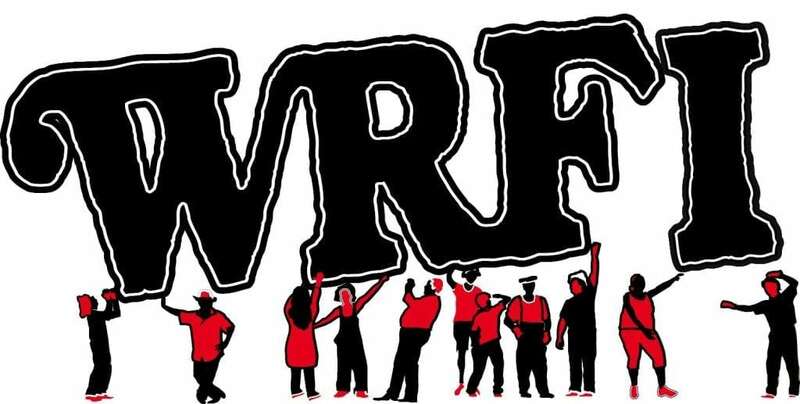 This feature first aired on Aug. 1 on WRFI News at 6. Jackie Marusiak reported and produced this piece, with contributing reporting from Laura Rosbrow-Telem. To hear the full piece, listen here or read the transcript below. On July 6, local news reported that the Rescue Mission would stop providing homelessness services in Ithaca in October. So everyone’s asking, “What’s going to happen?” This is a big concern for those who use Rescue Mission’s services. Several groups have expressed interest in applying for the Rescue Mission’s contract. And on July 25, a number of them attended a “pre-bid” conference with the Department of Social Services, or DSS. There, they asked the county questions about the bidding process for taking over the homeless shelter. Representatives from the Salvation Army, Catholic Charities, and the Southern Tier Aids Program, or STAP, came to the pre-bid conference. But when asked for comment, STAP clarified to WRFI that they are not applying to the county for the shelter. According to DSS, they can only promise a reimbursement within 3 weeks. The front of Ithaca Coins and Jewelry, which is next door to the Rescue Mission. Photo credit: Laura Rosbrow-Telem. But some people are happier about the possibility of the Rescue Mission closing. 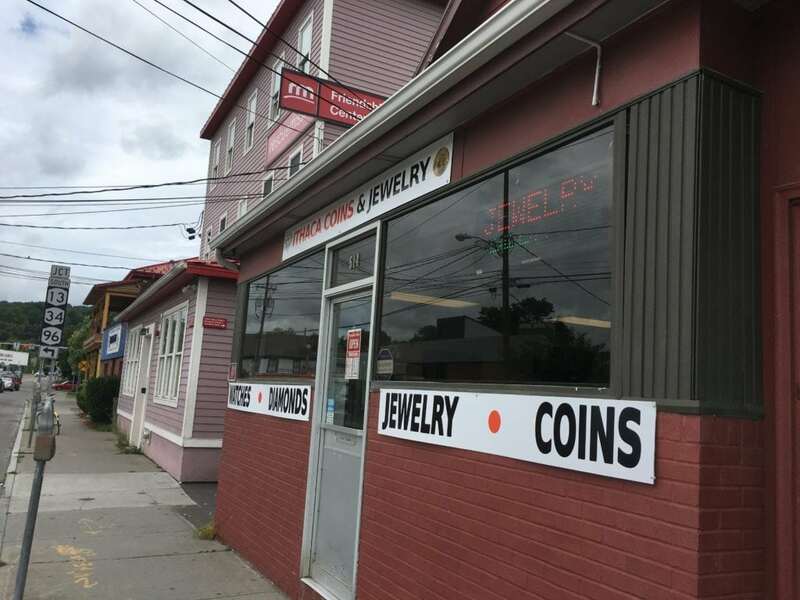 Patrick Klee, the owner of Ithaca Coins and Jewelry, said the Rescue Mission’s presence hurts his business and prevents the west end of Ithaca from being cleaned up. Klee’s shop is located next door to the Rescue Mission on West State Street. According to the Ithacan from December 2017, Richard Bennett, the director of the Rescue Mission at the time, noticed a significant increase in the demand for beds at the Rescue Mission in the past few years. On December 10, 2017, the Rescue Mission provided beds to 45 people, many in hotel stays. Bennett was also aware of at least 45 other people living outdoors in Ithaca at that time. Three summers ago, only five out of the twelve Rescue Mission beds were ever occupied at one time. Proposals to DSS are due by August 17 at 4 p.m. DSS said that they expect to announce their choice of who will take over within a week after the deadline. 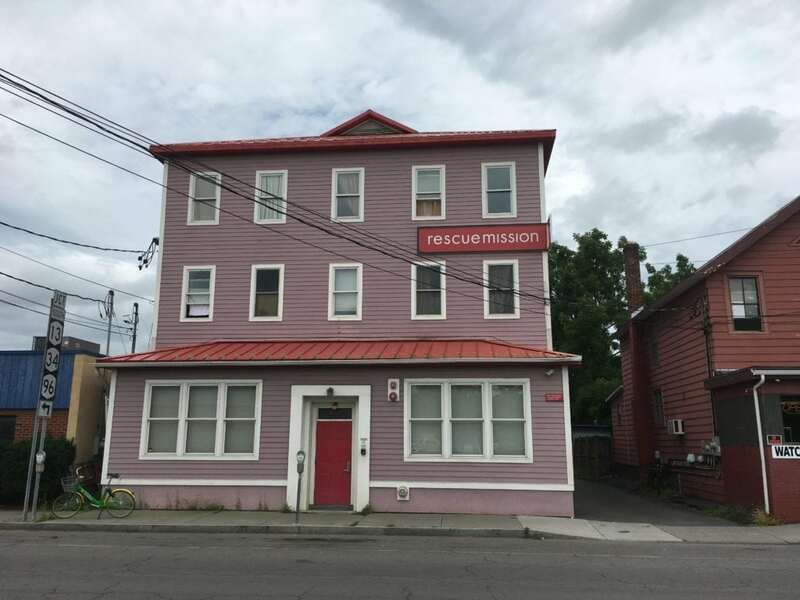 Meanwhile, guests of the Rescue Mission are hoping that whoever the new provider is, they’ll be able to keep up the same level of service to the homeless population of Ithaca.